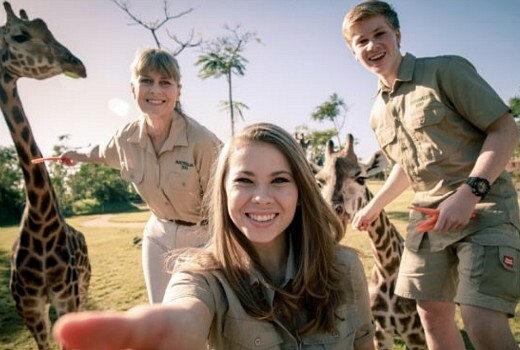 Terri, Bindi and Robert Irwin will star in a new TV series, Crikey! It’s the Irwins on Animal Planet. The series to premiere on October 28 will feature them living and working at Australia Zoo on the Sunshine Coast. Bindi’s boyfriend Chandler Powell will also appear. The show is produced by Eureka and follows the family signing a deal with the Discovery-owned network, where Steve Irwin became famous through Crocodile Hunter.